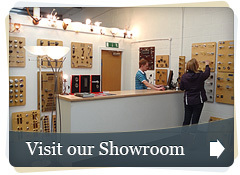 Cheshire Hardware Ltd prides itself on giving customers the most comprehensive selection of door handles, window hardware, locks, hinges and accessories on the internet. There may be occasions where you need to return items ordered, and so here is our Returns Policy. As a mail order customer you have a cooling off period of 7 working days after the date of receipt of the goods unless the goods are specially ordered. During this time you may decide to cancel your order. Once your delivery has arrived you can return standard stock lines within 7 days of delivery subject to the below. Specially ordered products may not be returned unless faulty. If you call to notify us of your wish to cancel your order, we will also require written notice of your cancellation by post, fax or email. If you supply us with written confirmation of your order cancellation, it is advisable to generate proof of your communication: for example, a certificate of posting, confirmation of fax transmission or email delivery report. On cancellation of received unwanted goods, the customer is under a duty to return the goods to the company as soon as possible from notification of cancellation and within 30 days of purchase, in the same condition as the goods were received (ie, new goods received must be returned in new condition with all fittings and the original packaging included). Items which have been fitted, installed or used in any way cannot be returned for a full refund. This also applies to specially manufactured or finished products. The customer is responsible for the cost of return of unwanted goods and in the meantime must take reasonable care of the goods. We strongly advise the use of a signed for, trackable service to return your unwanted items to avoid any delays in processing your refund where applicable. A refund will be given on receipt of the returned goods and on approval that the goods meet the criteria for return under this policy. A returns note must be included which you can obtain by calling or e mailing us. Please note that orders for non-standard items which have been specially manufactured to the consumer's agreed specifications and delivered as per these specifiactions are not covered by this returns policy and cannot be returned at any time unless faulty. Please note that the definition of unwanted goods does not cover faulty items, and these fall under the terms & conditions of the warranty for that particular item. If you think you have a faulty item, or your goods become faulty within the warranty period, then please contact us immediately. A replacement can be sent when your faulty item is returned OR beforehand if charged out in the normal way. A refund can then be given for the return once recieved if tested faulty. Specially manufactured, non standard goods delivered correctly and without fault cannot be returned. This includes goods which have been specially manufactured or finished to the consumer's agreed specifications and delivered as per these specifications. Specially manufacturerd Items ordered cannot be cancelled after seven days of the order date or if production has begun. No refund will be given for cancelled orders of specially manufactured items outside of the seven day period. This usally applies to items from Croft, British Handmade, Frank Allart, Samuel Heath, Kirkpatrick, Murano House and Rocky Mountain etc as well as kick plates but special order items can be from other manufacturers too. Goods returned in an unacceptable condition, without a returns form, with missing parts or packaging or special order returns will be quarantined for 6 months during which time you are welcome to collect them. After 6 months they will be disposed of.